O-Woche! 3 – 5th April 2019. 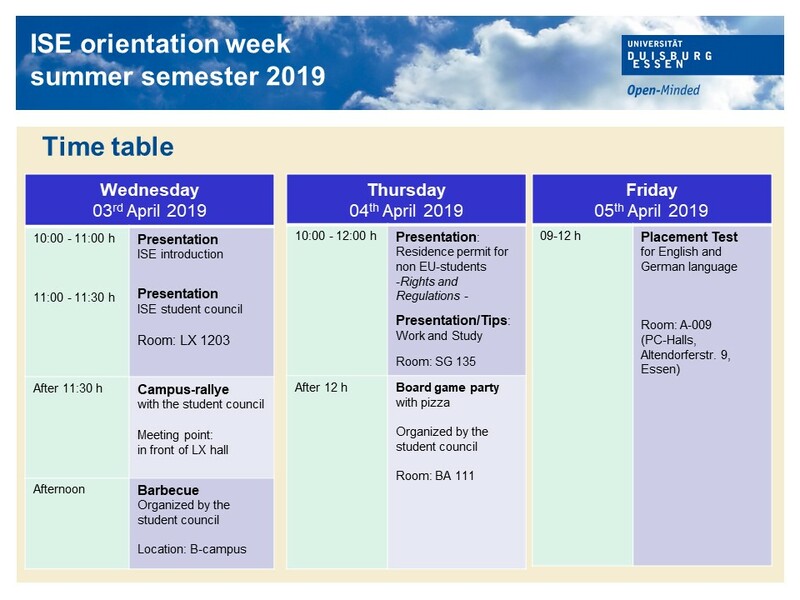 The orientation week, a for the upcoming summer semester, will be held on the 3rd and 4th of April. As customary, the new students’ rally will take place after the presentation in LX on the first day (Don’t hesitate to participate! A prize shall be awarded to the winning group!). There will be a barbecue held afterwards in the B-Bereich of the university (for those who might be wondering, vegan and halal included.). We’ll be having a game and pizza afternoon on the 4th of April at around 13:00 in BB111. There will be all sorts of group games and boardgames to help the students get to know each other better and enjoy a hopefully pleasant afternoon. You’re all cordially invited to take part and have some delicious.